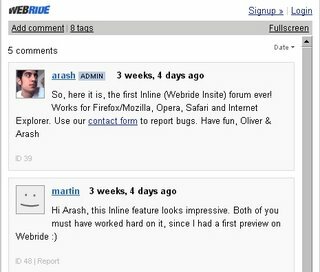 Webride automatically attaches discussion forums to each and every web page on the Internet. 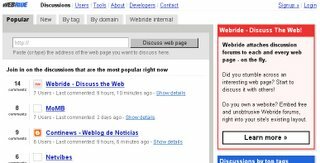 You can use webpage or bookmarklet to start discussions on any web pages you are interested in. You can join some interesting discussions which you like.